While Lacy was still a student at California Institute of the Arts (CalArts), Judy Chicago introduced a challenge to her students to perform or install projects along Highway 126, from Newhall to the Pacific Ocean. The only restriction was that the action, performance or installation would be something recognizably feminine (or stereotypically so). 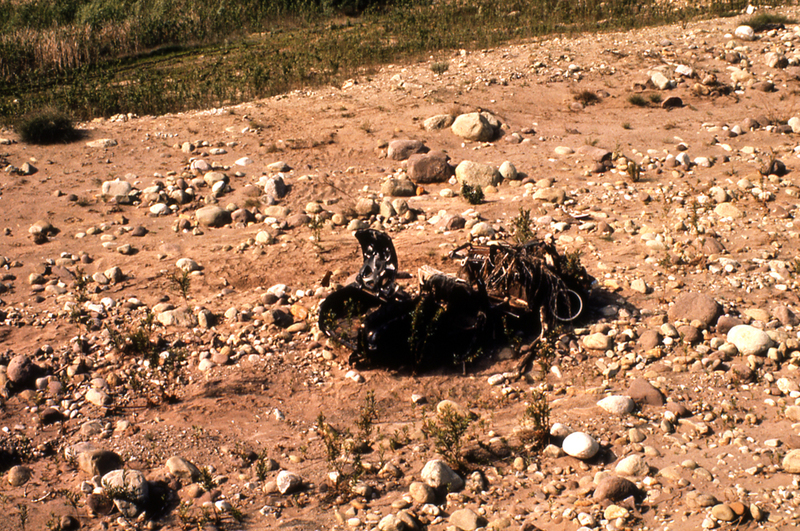 Lacy’s action for this project was to transform a car that had been abandoned in a dry riverbed. As the car caravan proceeded, on her signal the students stopped at the ravine. Lacy provided pink paint, a large velvet heart, and other gendered parodies and within 30 minutes the entire car was transformed into a pink jalopy with its trunk exposed to the highway. Subsequent to the performance, the car that had been there for months was quickly removed.